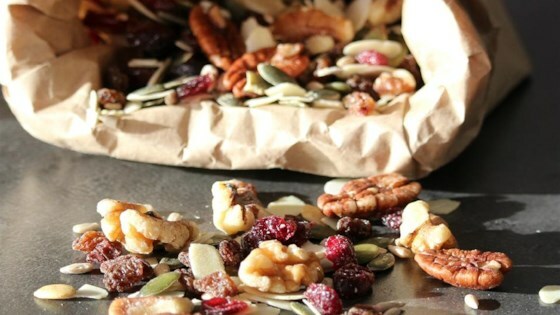 "This trail mix is full of antioxidants and will give you a boost of energy to start your day, or keep you going if you're on the go!" Combine almonds, walnuts, pumpkin seeds, sunflower seeds, cranberries, goji berries, raisins, and chocolate chips in a bowl. Store in an airtight container or resealable plastic bag for up to 2 weeks. Good mix with accurate ratios. Thank you for the recipe.